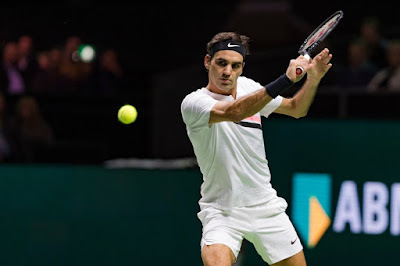 Roger Federer reached his third ABN AMRO World Tennis Tournament final on Saturday after beating Andreas Seppi 6-3, 7-6 (3). The two-time Rotterdam champion moved into the championship match after one hour, 24 minutes and will aim to become the first player in the tournament’s history to win the event on three occasions on Sunday. Federer guaranteed with his quarter-final victory against Robin Haase that he will become the oldest World No. 1 in the history of the ATP Rankings on Monday. 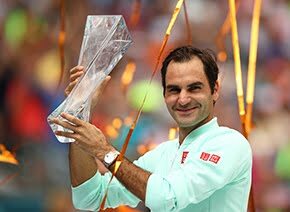 If Federer goes on to win the title, it will be the 15th year in the 36-year-old’s career that he has won multiple tour-level titles. The right-hander is pursuing trophy No. 97. The Swiss superstar will meet World No. 5 Grigor Dimitrov for the title after fourth seed David Goffin retired from his semi-final against the Bulgarian with an eye injury while trailing 3-6, 1-0. Federer has won all six previous ATP Head to Head meetings with Dimitrov. If the top seed goes on to win, it will be the 30th time that he defeated a Top 5 opponent in the final to earn a tour-level title. 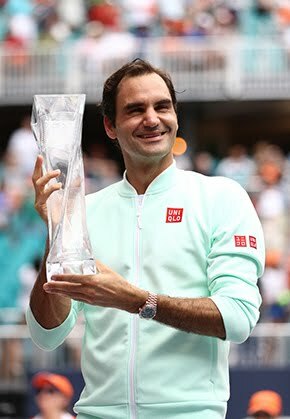 Federer said he was more relaxed on Saturday after achieving his goal of returning to World No. 1. “Maybe the pressure being gone helped me a little bit,” he said. Dimitrov, 10 years younger than Federer, will be playing for his ninth career title.